It was exactly what Newcastle needed to do today at St. James’ Park as the lads beat Birmingham City 4-0 and got our goal difference a lot better, got the all important win and also kept a clean shett for the first time for four games. This is a perfect result for Rafa Benitez and his Newcastle side after losing the last three games. 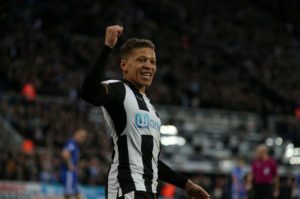 And it was that man Dwight Gayle again who got a hat-trick and soothed the nerves of Newcastle fans everywhere with two quick goals when he scored in the 18th minute and then again in the 24th minute. It was 2-0 at the break and then a couple of minutes into the second half Yoan Gouffran – another Newcastle star this season – scored his fifth goal of the season to make it 3-0. Dwight got his hat-trick on the 77th minute and he now has 16 Championship goals this season – what a buy this lad has been for us for a low £10M. Gayle’s first goal was a header from six yards out after a good Mo Diame cross after 24 minutes – and Mo had done really well to hold off a challenge before getting the cross in – Mo looked good today – maybe back to form?. And then just four minutes later a deflected Isaac Hayden cross fell to Gayle who scored his second goal to put Newcastle 2-0 up. It was all Newcastle from then on and at the half we had 68% possession and had 13 attempts on goal as Newcastle were letting go of their frustrations of the last game when we really had a potential win taken away from us. But this is the way to come back from adversity and it’s exactly what Rafa had asked for before the game. It was 2-0 at the half and then it was 3-0 after 47 minutes when Jonjo Shelvey’s cross was nicely knocked down by Gayle for Gouffran to fire home – a nice team effort there. And then on 77 minutes as Newcastle were controlling the game completely it was a terrific cross in from Shelvey and Gayle got a very well deserved hat-trick. Gayle was taken off and got a standing ovation from a fabulous crowd of 52,145 – now this is what they want to see when they go to Newcastle home games. Rafa Benitez took the chance to bring on Christian Atsu, Aleksandar Mitrovic and Achraf Lazaar as the game finished with a great 4-0 win by Newcastle. Job done – a professional performance from our players. That’s one huge relief – let’s be honest! Newcastle: Darlow; Anita, Lascelles, Clark, Dummett; Shelvey, Hayden (Lazaar, 81); Richie, Diame, Gouffran (Atsu, 70); Gayle (Mitrovic, 79). Subs not used: Sels, Yedlin, Mbemba, Tiote. Birmingham: Kuszczak; Dacres-Cogley, Morrison, Shotton, Grounds; Tesche (Keitenebld, 46), Gleeson; Stewart (Jutkiewicz, 46), Adams, Cotterill (O’Keefe, 70); Donaldson. Subs not used: Legzdins, Robinson, Solomon-Otabor, Brown. Back to winning ways. Perfect result! Gayle has to play every game. I want to see him hit 30 goals this season, he is more than capable. 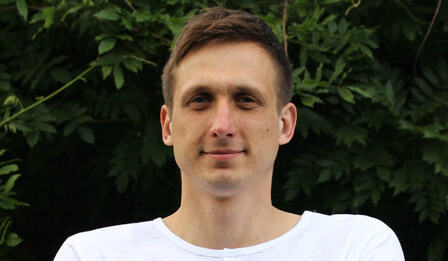 Well every team has a blip and hopefully that was ours, Brighton had a terrible one last year so I think theirs is still to come, there’s money to spend in January as well if a decent LW comes along, after yesterdays chat I think it might be an idea to get Arma back as he’s not doing much at Barnsley, keep him here for the rest of the season then send him out to a top club who play to his strengths, if a top club doesn’t want him then what future does he have with us. Glad to hear he got a standing ovation but as I said how could he not, in the couple of games I’ve been to I’ve been disappointed with the recognition he’s been getting, not worthy of not only your top scorer but the winner of some very vital points, we may well have gone to.pieces without his hatrick against Norwich, I know the blog would have.